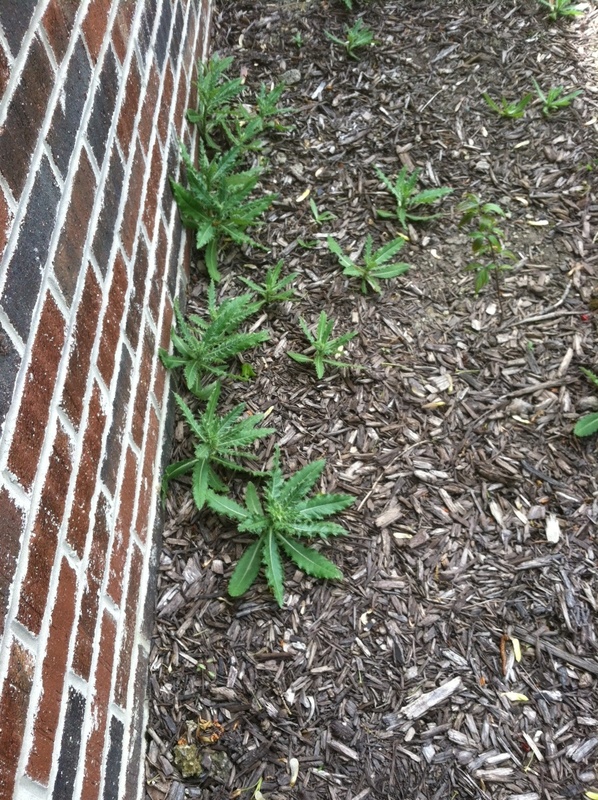 We've all had experience with weeds in our landscape beds. It seems like a never ending problem all season, even though we cover our beds with Preen before mulching in the spring. Even though we put down this pre-emergent in bulk, it never seems enough to stop those grassy weeds from growing. Several years ago, Weed Pro started taking care of customers landscape beds and putting down preemergence weed control, in addition to our typical lawn care duties. At first, we started to use a lawn care product in our customer's landscape beds because of the extremely good results with controlling crabgrass and other grassy weeds with a particular product. Little did we know that this product would become a staple of our landscape weed control services. Dow's Dimension product, yes the same found in your early spring lawn application, controls most grassy weeds in your beds as well as your lawn. Dimension provides preemergence and early postemergence control of crabgrass, and season-long control of crabgrass, goosegrass, foxtail, spurge and Poa annua. When applying Dimension, avoid coming into contact with the plant, or right around the base of the plant to prevent possible damage to the plant. Applying a liquid version of Dimension with another control product, such as Dow's Gallery, provides excellent protection against weeds. When using the ornamental granualar product in your landscape beds, make sure you put it down before mulching to provide adequate coverage.